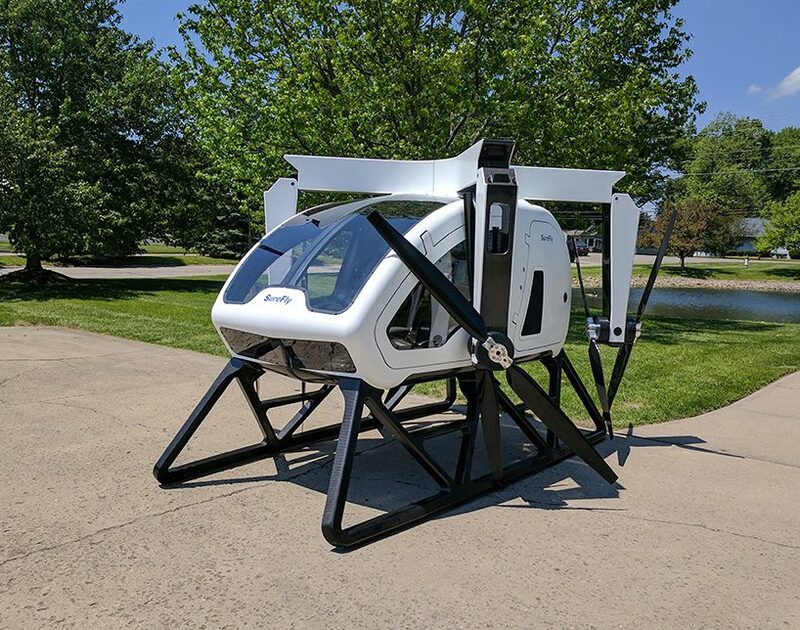 workhorse — the US-based transport company working with UPS to make drone delivery a reality — has upscaled its airborne technology with the ‘surefly’ personal helicopter. 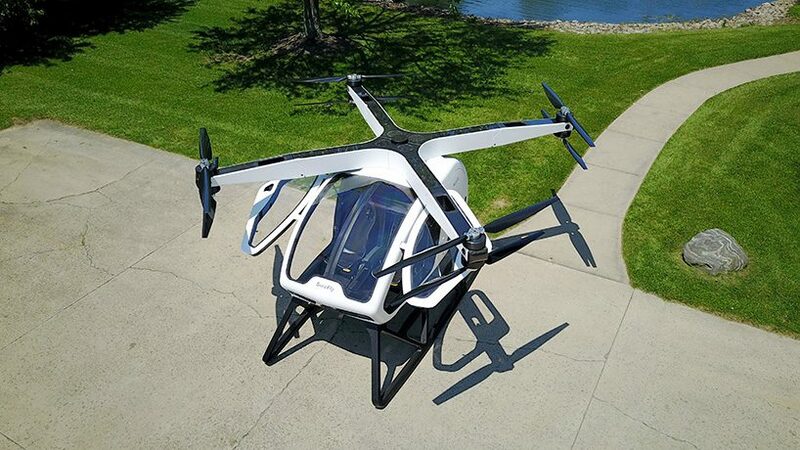 78 years since the first ‘copter took to the sky, workhorse has set out to reinvent the VTOL craft using its expertise in battery-powered electric mobility. 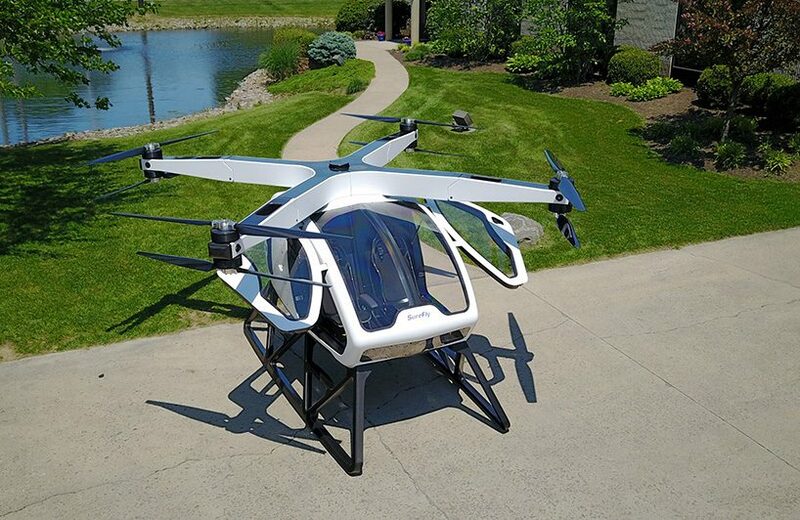 the drone-helicopter hybrid is designed to be easy to operate. 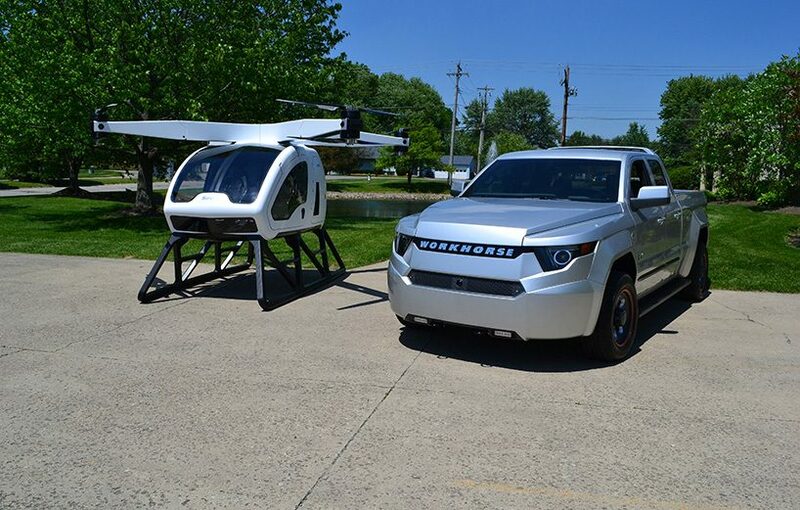 initial models will be piloted, yet longer-term plans include a goal to introduce autonomous flight. 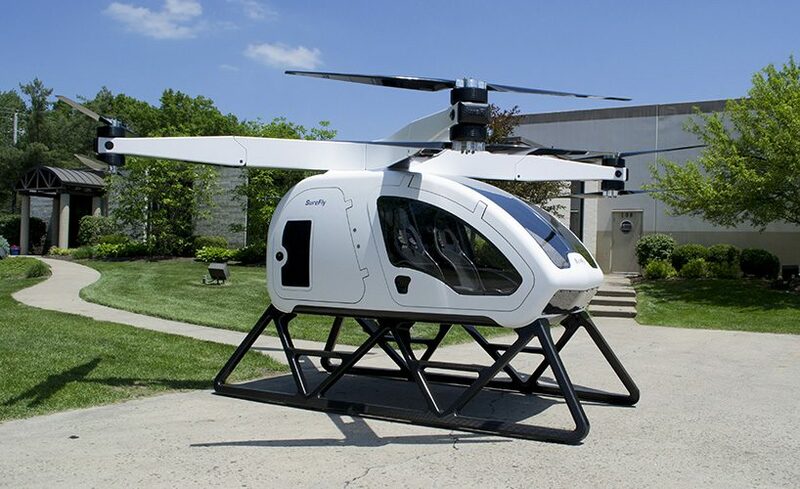 workhorse aims for ‘surefly’ to be safer and more stable than a typical helicopter, using eight independent motors to each drive a single carbon fiber propeller. 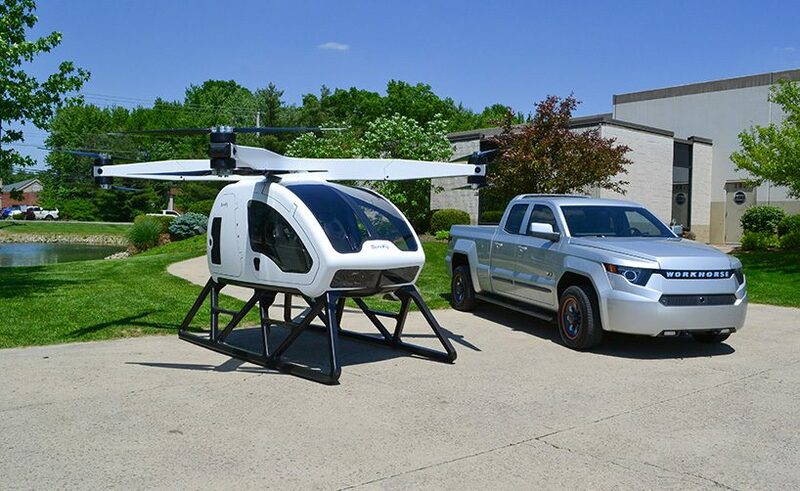 the craft features a gas combustion engine that generates electricity along with a backup battery to drive the electric motors in the event of engine failure and a ballistic parachute that safely brings down the craft if needed. the craft is designed for short hop journeys, carrying two people over a distance of around 70 miles. 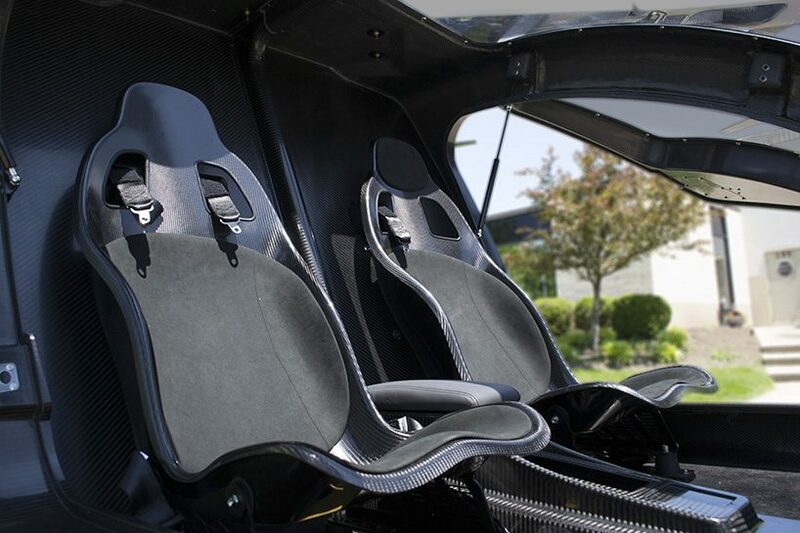 the craft’s fuselage and props are carbon fiber to skimp on extra weight, meaning it can reach speeds of up to 70 mph on a single tank of gasoline. 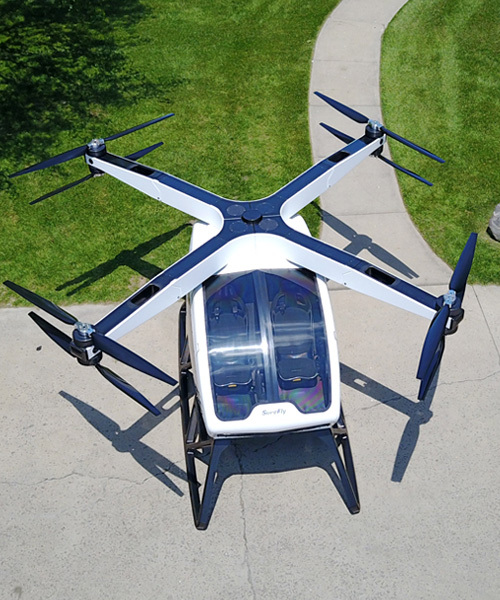 the personal drone-copter is even designed to be easy to store, and its four carbon-fiber arms fold down to allow it to squeeze into a standard garage. 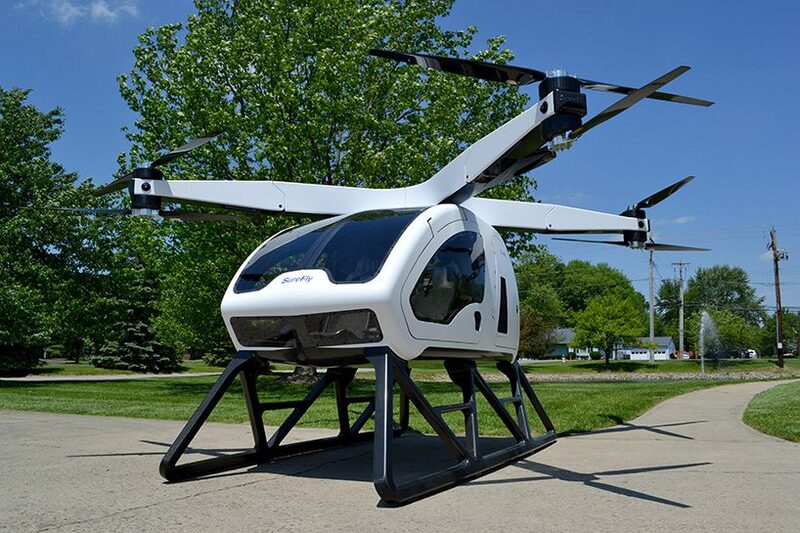 ‘the helicopter has been around for 78 years and is finally being reinvented,’ details stephen burns, CEO of workhorse. ‘we’re excited to unveil the surefly on the world stage as we believe it represents a major step forward for the global aviation industry. 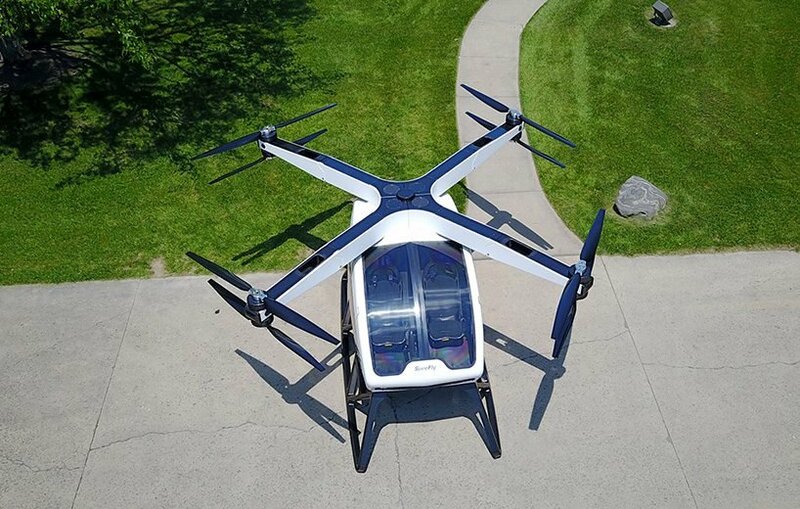 we’ve designed surefly by leveraging our expertise in battery-electric powered mobility, controls and gas generators to accelerate the speed to market in this sector.’ the surefly personal helicopter is set to be unveiled at the paris air show on june 19.